For food lovers Le Relais Fleuir offers its gourmet restaurant. In winter the dining room is cosy with its log fire in the chimney and in summer lunch is served on the outside terrace. From June to September salads and plancha are served pool side. In a friendly ambiance discover the delicacies of the table to delight your taste buds. On the menu you’ll find the renowned classics of French cooking in all their splendor. 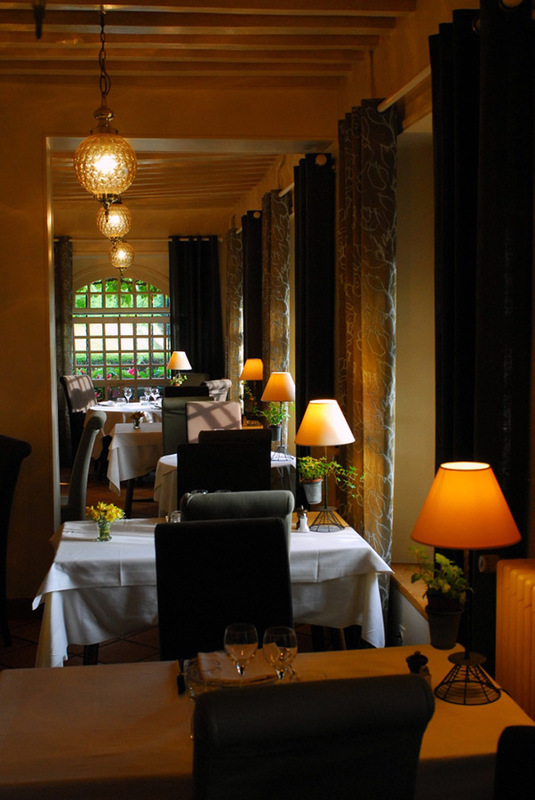 Here are a few of our credentials: 2 spoons in the Michelin Guide, 3 casseroles in the Logis. Equally the restaurant is recommended by Gault & Millau, le Bottin Gourmand and is credited with the title of Maitre Restaurateur. Alexandre Charlin a Burgundy chef offers a regional cuisine which is rich and inventive combining the finesse and freshness of local farm produce. The carte evolves with the produce of each season and allows the chef to illustrate the depth of his creativity. You’ll discover new dishes and revisit old favourites. You’ll discover new tastes and colours mixed together in each plate which are changed over the course of the months . Let yourself be tempted. The restaurant is open every day all year long from 12h00 to 13h45 and from 19h30 until 21h30.